Capitol building with Republican donkey and Democratic elephant. The 2018 Midterm elections took place across the nation Nov. 6. In the election 35 U.S. Senate seats, all 435 U.S. House of Representative seats and 36 governorships, as well as thousands of state legislature seats were on the ballot. In the Senate, Republicans maintained and expanded their majority, with Democrats facing a historically bad Senate map – having to defend 24 seats to the Republicans’ eight. Seats were flipped in the following states: Indiana, North Dakota, Nevada and Missouri where Democrat Joe Donnelly, Democrat Heidi Heitkamp, Republican Dean Heller and Democrat Claire McCaskill, respectively, all lost their bids for reelection. The loss of the three incumbent Democratic Senators marks a rare occurrence where an incumbent opposition party senator loses reelections, the first time such an event has occurred since 2002. In Arizona, after a close vote count that was not resolved until earlier this week, Democrat Kyrsten Sinema won over Republican Martha McSally, flipping a traditionally red seat. As of the time of writing, the Senate race in Florida has not been called while Mississippi heads to a run-off election. The Florida race is in the process of a recount with outgoing Governor Rick Scott maintaining a narrow lead over incumbent Bill Nelson. In Mississippi, Republican incumbent Senator Cindy Hyde-Smith will face former Rep. Mike Espy in a run-off election. Whatever the final total, with wins in Missouri, North Dakota and Indiana, Republicans increased their majority in the Senate. In the House of Representatives, it is clear the much trumpeted ‘blue wave’ materialized – though not as powerfully as many Democrats had hoped. The Democrats had a nine point lead in the nationwide popular vote and gained roughy 30 seats – an exact total remains elusive as some races have yet to be called. Exit polls show an expansive defection among suburban voters away from Republicans and towards Democrats. 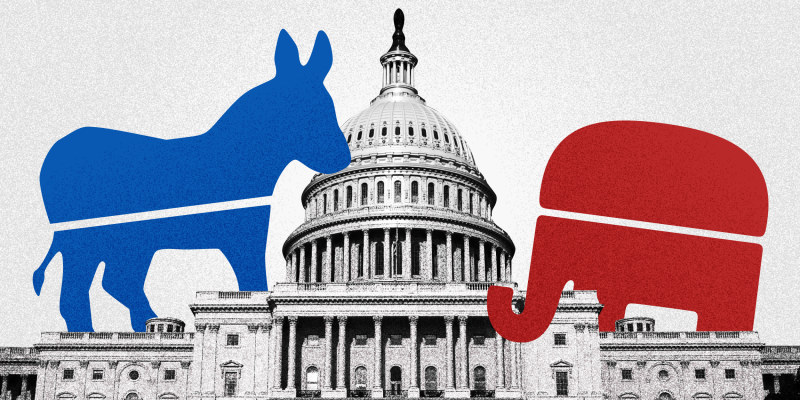 Whatever the final total determines, it is definitive that Democrats will control the House of Representatives at the start of the new session – a move with far-reaching implications as it breaks unified Republican control of Washington. Presumptive Speaker and current House Minority Leader Nancy Pelosi (D-Calif.) has called for bipartisanship, but many of her committee leaders have vowed vigorous investigations into the conduct of the Trump Administration. The president has replied to such claims that if the Democrats investigate him in the House, he will have his allies in the Senate investigate them. How exactly a new relationship between the House Democrats and the Trump Administration will play out will only become fully clear come January. In gubernatorial races, Democrats netted eight seats gaining the governor’s mansion in Illinois, Michigan, Wisconsin, Nevada, Kansas, New Mexico and Maine, while the Republicans gained the formerly independent governorship of Alaska. Notable among the races are the victory of Democrat Laura Kelly in traditionally red Kansas against her opponent and ardent Trump supporter, Secretary of State Kris Kobach, and in the hotly contested race in Wisconsin where Democrat Tony Evers frustrated Scott Walker’s bid for a third term. As it stands now Democrats will control 23 governorships in 2019 to a Republican total of 25, with Georgia and Florida contested. In Georgia, Democrat Stacey Abrams and Republican Brian Kemp appear to be heading towards a runoff election in December, though it is possible that Kemp will still prevail outright. In Florida, Democrat Andrew Gillum initially conceded to Republican Ron DeSantis, but as votes continued to be tabulated and DeSantis’s lead narrowed, Gillum revoked his concession. The gubernatorial race in Florida is also in the process of a recount. At the state level, Democrats began the process of recovery from their 2010 decimation gaining statehouses in Maine, Minnesota, Connecticut, Colorado, New Hampshire and New York. These state level gains, both for governorship and the for state legislatures, are especially significant considering restricting that will happen after the 2020 election. Overall, the emerging consensus is that the Democrats did well on Tuesday, but not superb. Beto O’Rourke, the charismatic challenger to Ted Cruz in Texas’s Senate race, lost on Tuesday, though it is significant that O’Rourke lost by a far tighter margin than recent elections in Texas, and may have well positioned himself for a presidential run in 2020. This midterm election is also notable for the diversity of the candidates elected. Colorado became the first state in the nation to elect an openly gay governor. In Michigan and Minnesota, voters elected the first female Muslim congresswomen and in Kansas and New Mexico voters elected the first Native American congresswomen in history. Meanwhile, Kyrsten Sinema (D-Ariz.) will be the first openly bisexual senator elected to Congress and Alexandria Ocasio-Cortez (D-N.Y.) is the youngest woman elected to Congress. On a wider scale, the 2018 midterms resulted in a record-breaking number of women winning election to Congress, with over 100 women poised to serve in the House in the next Congress. Photo courtesy of Samantha Lee/Business Insider; Stefan Zaklin/Getty Images.